President Trump's former top campaign official, faced with the daunting possibility of spending the rest of his life in prison, has entered a plea agreement with Justice Department special counsel Robert Mueller. Paul Manafort pleaded guilty Friday morning to conspiracy to defraud the United States, concerning money laundering; and obstruction of justice, related to witness tampering. The maximum sentence on the two counts is 10 years, according to MSNBC. In exchange, prosecutors agreed to drop a number of other charges. CNBC reported that they included tax fraud, failure to report foreign bank accounts and failure to register as a foreign agent. 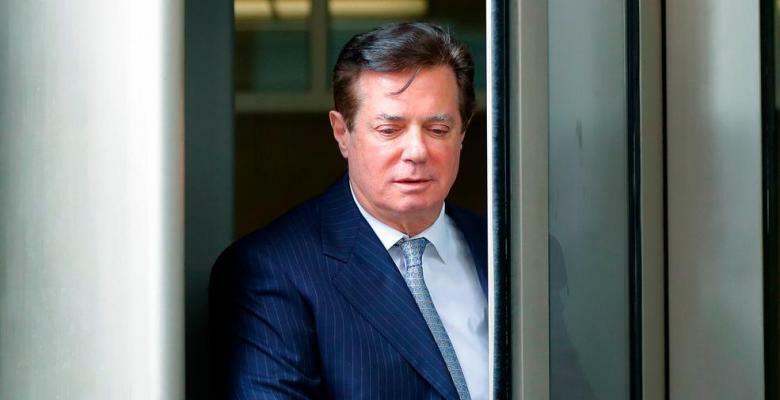 The plea deal sparked speculation that Manafort has consented to cooperating in the investigation of whether the Trump campaign colluded with Russia to interfere in the 2016 election. If he does “flip” on the president, Manafort will join several other Trump associates who are believed to have turned state's evidence. Among them are former national security adviser Michael Flynn; Trump's long-time personal attorney, Michael Cohen; and the chief financial officer for the Trump Organization, Allen Weisselberg. Trump, who has repeatedly called the investigation a “witch hunt,” insists there was “no collusion.” He claims he did not know about a June 2016 meeting at Trump Tower in New York City involving Manafort, Donald Trump Jr. and a Kremlin-linked Russian lawyer. Before joining the campaign, Manafort was a consultant to a Ukrainian oligarch with close ties to Russian leader Vladimir Putin. Many of the original charges against the defendant related to his actions while serving in that capacity. The plea deal came just three days before jury selection was to begin for Manafort's second trial. He was convicted on eight counts, including bank fraud and tax fraud, in a previous case in August that could result in a nine-year prison term. The jury was unable to reach a consensus on 10 other charges. It is unclear whether Manafort will serve his two sentences concurrently. As part of the agreement with Mueller, Manafort is to surrender ownership of a home in the upscale Hamptons area of Long Island, New York; and other real estate in New York City and Alexandria, Va. He also must forfeit funds from four bank accounts and a life insurance policy. Manafort was free on house arrest after prosecutors filed the first charges. He went to jail in June when authorities learned he had been contacting witnesses in his case in an effort to influence their testimony. Prosecutors said Manafort made more than $60 million for his work in Ukraine. They wrote that from 2006-16, he laundered money “through scores of United States and foreign corporations, partnerships and bank accounts” to conceal his earnings from the Internal Revenue Service.